Welcome to Creative Minds: September. I’ve partnered with Downtown Jeaux once again to bring the community together in fun and creative ways. Music, food, spoken word, doodling, and gaming are just a few reasons to join us this coming Friday (6-9pm). If you need help with something, if you want to share something you’ve been working on, or if you’d just like to hang out with other cool people, this is the place to be. We’ll have a mic setup for you to perform. Whether it’s an original or karaoke, the stage is yours. Bring your guitar, poetry book, or favorite cover song. We look forward to hearing from you. If you have something to promote or sell, there will be a table setup at each event for you to display your work. Whether it’s a painting, brownies, a book, a shirt, or if you just want people to sign up for your newsletter, this table will be the place to get the word out. Each event, you will get an index card to share an idea with the group (a doodle, a paragraph, a thought). At the end of the event, the index cards will be shuffled up, and a random winner will receive a free Creative Minds shirt. Also, after the event, these index cards will be scanned and shared online for the world to see your talents. Is gaming creative? It is now! There will be Mario Kart sessions, and Fortnite battles, for anyone who likes losing. If you have a Nintendo Switch, bring it to connect with the others. If not, we have an extra controller for you to compete. My little brother will be waiting for you. 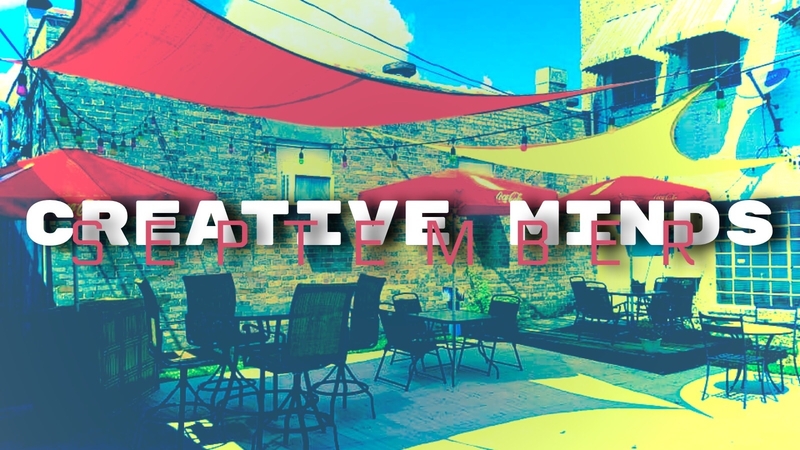 Part of Creative Minds is to brainstorm and find new ways to make an impact in our community. If you have an idea that you think would fit into this group, then that’s the biggest reason to come hang out with us. Nothing here is set in stone, and we’ll continue to evolve. I need your ideas and your help in making each event bigger and better than the one before it.